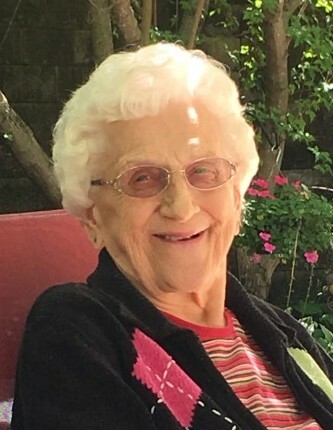 Betty A. Pavek, age 90 of Faribault, MN passed away on Saturday, April 13, 2019 at her home at Pleasant View Estates following an extended illness. Visitation will be held at the Parker Kohl Funeral Home, 1725 Lyndale Ave. N. in Faribault on Thursday, April 18, 2019 from 12:00 noon to 2:00 p.m. Memorial services will be held at 2:00 p.m. with Pastor Mark Johnson officiating. Private family interment will be held at the Bohemian National Cemetery in Owatonna, MN at a later date. Betty Annie, the daughter of Ernest and Rose (Dusek) Bathel, was born on July 27, 1928 in Owatonna, MN. She attended Claremont High School and graduated with the class of 1946. On April 29, 1948 she was united in marriage to Edward Pavek. Ed preceded her in death on October 9, 1989. After their marriage Betty stayed at home to raise their family and later would work as a cook at Faribault Manor and the Faribault Junior High School. Betty was an active member of First English Lutheran Church. She was a strong worker and always enjoyed helping on any project. She enjoyed listening to polka music, taking care of her cats, gardening, flowers and loved living at their Wells Lake home. Betty was a volunteer for the Faribault Area Hospice for many years. She is survived by her children, Dennis (Robin) Pavek of Arizona, Kenneth (Sherri) Pavek and Sheila (Dale) Robley, both of Faribault, MN; by 8 grandchildren and 20 great grandchildren; by two brothers, Dale (Joyce) Bathel of California and David (Lolly) Bathel of Baudette, MN and by many nieces, nephews and other relatives and friends. She was preceded in death by her parents, daughter Sharon Schull, husband, four sisters, Norma Paquin, Ruth Davis, Mildred Sobrack and Doris Bailey and by two brothers, Donald and Marvin Bathel.